Yes we make natural wines! 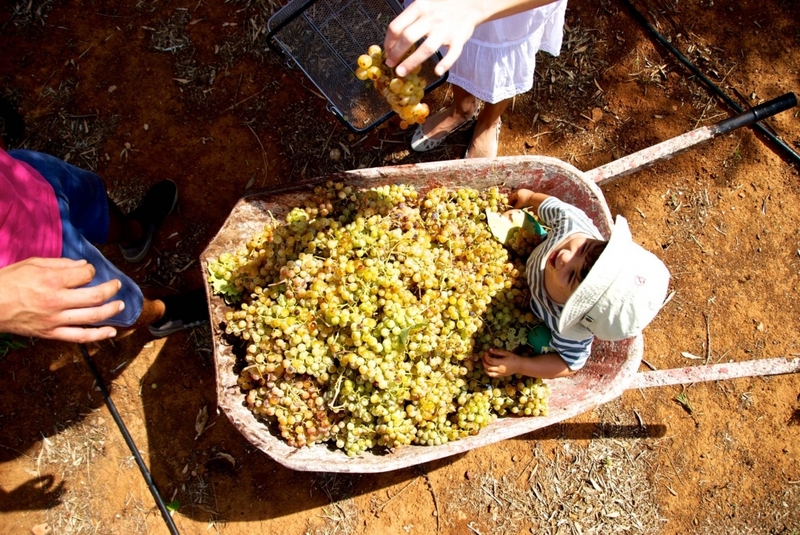 We cultivate the local and regional grape varieties of Asproudi, Kydonitsa, Agiorgitiko, Avgoustiatis and Moschofilero. Learn all about the best natural wines of Greece during an in depth tasting with our wine sommelier. 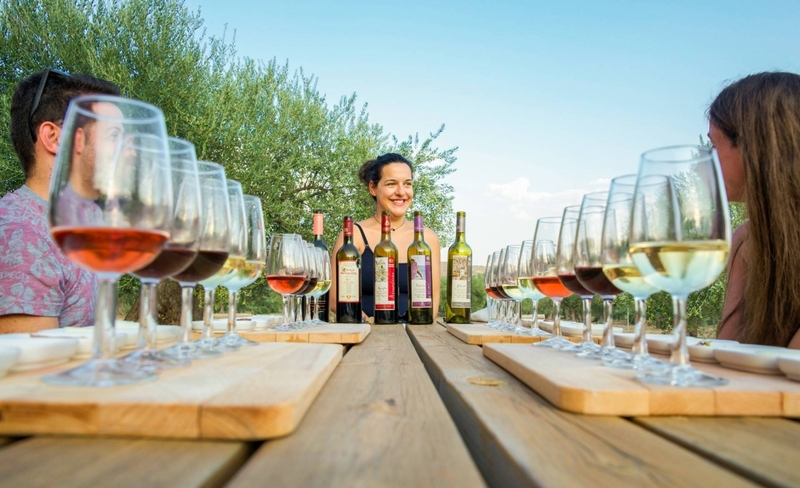 During your stay select a bottle or two from the best natural wine list in Greece and enjoy it in the night farm ambience. If you wish to go deeper in the world of natural wines then join our eight day “All about Natural Wines” tour. 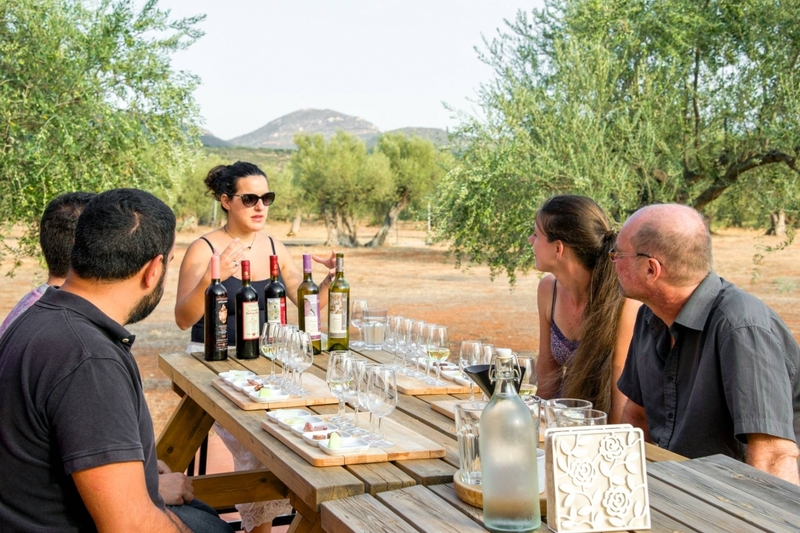 Discover the Greek grape varieties through 5 natural organic wines paired with local cheeses and cured meat. 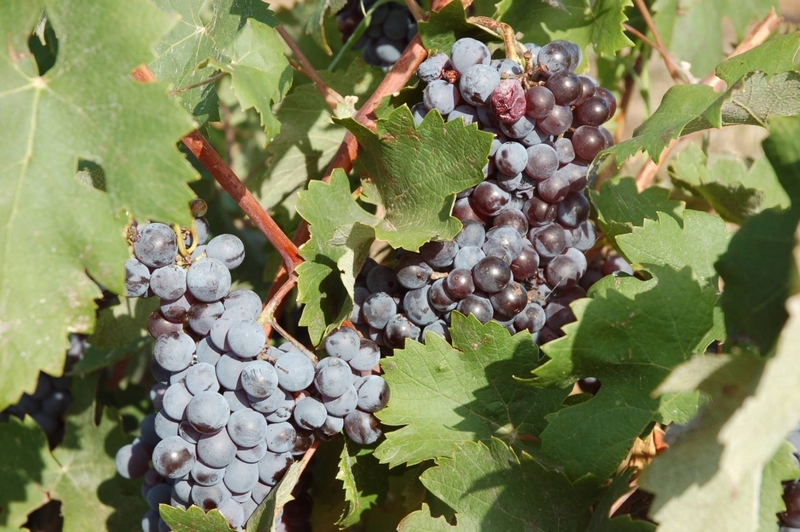 Walk among our organic vineyards and learn the history of wine in Greece and the biodynamic practices that we follow. 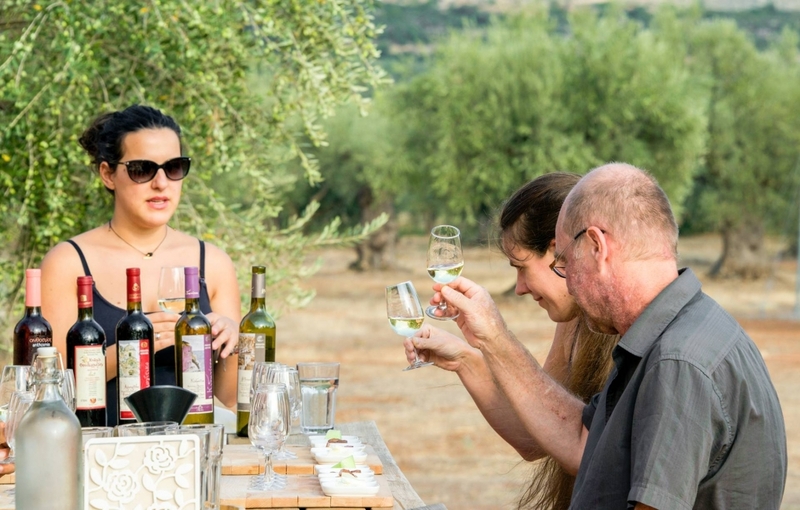 Take a sip of the Peloponnese, taste, smell and feel the local Peloponnesian and Laconian grape varieties of Agiorgitiko, Avgoustiatis, Athyri, Kydonitsa and Moschofilero. This experience starts with a leisurely walking tour in Eumelia’s vineyards during which you will learn about the local grape varieties. 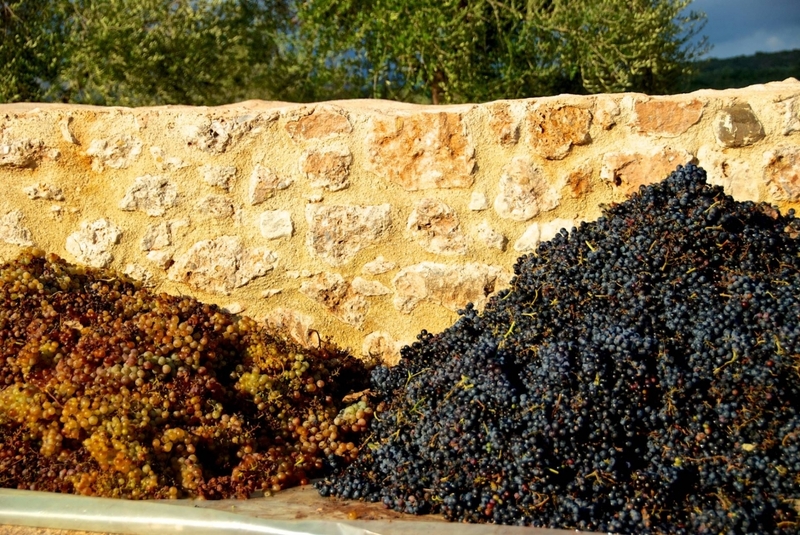 The biodynamic agriculture, the vinification process and of course the wine history and culture of Greece. We then get to the terrace of the central building where the tasting takes place during sunset over the Taygetos mountain range. 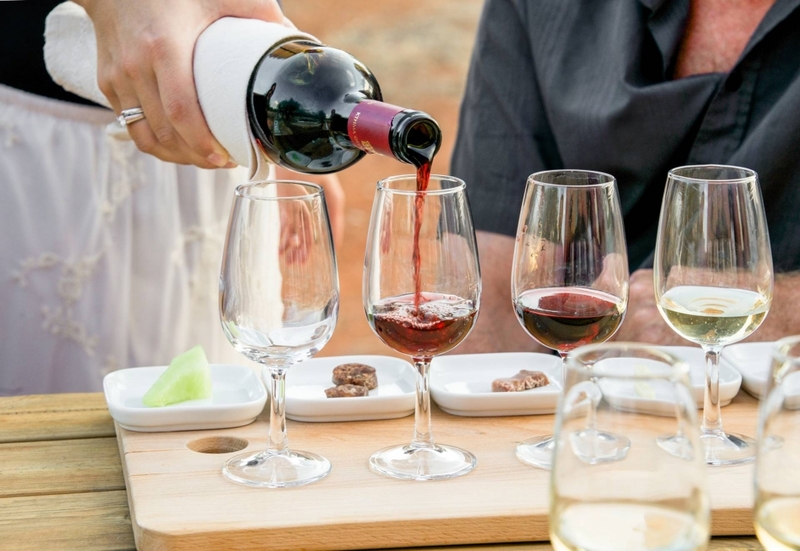 We uncork 5 of the most impressive natural wines and guide your palate to unknown flavors of the local grape varieties with a carefully selected assortment of savory delicacies. One of the most extensive collections of Greek natural wines for your tasting pleasure. Our in house wine sommelier will guide and initiate you into the magnificent world of natural wines. Varieties unknown outside of Greece are introduced through a beautiful journey of the different terroir of Greece. Choose and enjoy a bottle of natural wine in your private veranda, during your farm to table meal or in our terrace under the starlit sky.